The one state formula is as hopeless as the two-state one. In my column last week, I once again raised the issue of the fading relevance of what has been hitherto the dominant policy paradigm that has all but monopolized the debate on how to resolve the conflict between Israel and the Palestinian Arabs: The two-state formula. I urge initiating a vigorous debate on how Israel should react to this emerging situation and what policy prescription it should adopt to best contend with the onset of post two-state realities. I urged initiating a vigorous debate on how Israel should react to this emerging situation and what policy prescription it should adopt to best contend with the onset of post two-state realities. Clearly, the gathering skepticism as to the feasibility of the perilous and pernicious two-state idea is without doubt a potentially positive development for Israel. However, I cautioned, that whether the incipient benefits this entails will indeed materialize, depends largely on the prudence and foresight with which Israel conducts itself, and on the wisdom of the choices it makes. For the threats that may well emerge in a post two-state era are no less menacing to the survival of the Jewish-state than the two-state prescription poses itself—arguably even more so. I concluded the column by pointing out something that should be almost self-evident: To secure its survival as it was established to be – the nation-state of the Jews – Israel must embark on strategies that address both its geographic viability (i.e. its geographic imperative) and its demographic viability (i.e. its demographic imperative). Clearly, any policy, which does not contend adequately with either of these imperatives, imperils the Jewish nation-state, either geographically or demographically. 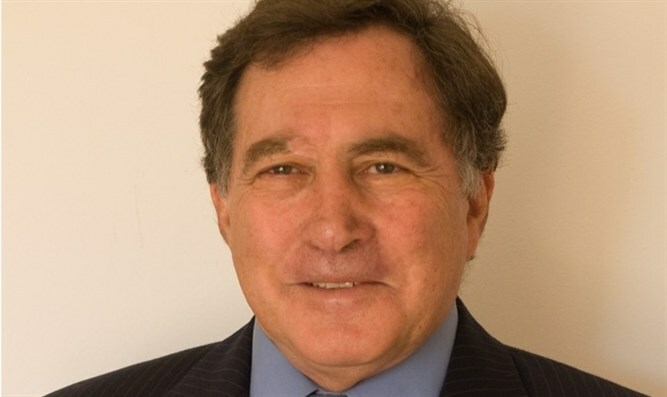 It is of course relatively easy to demonstrate, to all but fanatically obsessive two-staters, that—barring some wildly optimistic, and hence unrealistic, best case scenario—the two-state prescription, in any configuration remotely acceptable to even the most compliant Palestinian “partner”, will leave Israel unacceptably vulnerable geographically. Sadly, however, I lamented that most alternatives advanced by leading critics of the two-state approach entailed proposals that jeopardize the existence of a Jewish Israel no less than the dangerous two-state folly. The column ignited a lively debate in cyberspace—particularly with “Right-wing” advocates of a one-state policy, whose ire I seemed to have piqued by suggesting that their proposal—i.e. annexation of all the territory of Judea-Samaria together with the Palestinian-Arab population resident there—would make Israel untenable demographically. In defense of their position, they cite “alternative” (i.e. private initiative) demographic studies that show that the size of the Palestinian Arab population has been considerably over-estimated; and that in recent years there has been a dramatic plunge in Arab- Muslim birthrates, both in pre-1967 Israel and in Judea-Samaria, while Jewish fertility rates have risen strongly. Let me clarify at the outset: I find these “alternative” demographic studies persuasive and believe their conclusions probably reflect the realities on the ground better than more commonly cited, official Establishment estimates. Moreover, there can be little doubt as to the steep decline in Arab-Muslim birthrates and the recent increase in Jewish ones. However, even if we accept the numerical validity of these optimistic assessments, the political conclusions that “Right-wing” one-staters draw from them are – to greatly understate the case—highly questionable—and Israel would do well to avoid basing planning its long term national strategy on them. To grasp the detrimental repercussion of incorporating a large, and largely incompatibly recalcitrant Arab-Muslim population into Israel’s permanent populace—whether as fully enfranchised citizens or not—it is important to recognize that the problem is not only of electoral arithmetic at the polls. Perhaps far more important is the impact on the country’s socio-cultural fabric, its national coherence —and its ability to function as an undisputed Jewish state. Seen in this regard, the statistics—even the optimistic version thereof—appear far more daunting. Indeed, even within the pre-1967 lines the picture of demographic trends and the socio-political effects likely accompany them.—are dour. Thus, according to Israel’s Central Bureau of Statistics (CBS), while in 1949, there were more than nine Jews to every Muslim within the Green Line, by 2015, this ratio had dropped dramatically to just under 4.3 Jews for each Muslim. In other words, in the six-and-a-half decades since independence, the Muslim population has more than doubled in comparison to the Jewish population – despite massive waves of Jewish immigration from around the world. Moreover, the post-2000 statistics provide cold comfort for anyone pinning their hopes on decelerating Muslim momentum. For as recently as 2001, the CBS figures showed there were more than five Jews to every Muslim, compared to under 4.3 in 2015 – reflecting about a 17% percent decrease in the ratio of Jews to Muslims within pre-1967 Israel in less than a decade and a half. Again, it is true that the difference between Jewish and Arab birth rates (once vastly higher in favor of the latter) is rapidly narrowing, almost approaching parity within the pre-1967 lines—with the Arab rate still just slightly above the Jewish one. There is however, no guarantee that that this trend will continue, that Jewish fertility rates will continue to rise significantly above current levels, and that Arab rates will not bottom out around present figures. Indeed, today in Israel, family sizes are well beyond those of the OECD members, and accordingly, it is far from implausible that the birthrates may well remain at approximately current levels. To bet the “Zionist farm” on the assumption that current trends will continue and that a sizeable disparity in favor of the Jews will develop, is risky to say the least—if not dangerously farfetched. Accordingly, the Muslim minority within the pre-1967 lines– without the addition of any co-religionists in Judea-Samaria – is fast approaching 20% of the total population. Thus in the absence of overwhelmingly compelling evidence to the contrary, the prudent working assumption for the nation’s future is that it is likely to stabilize at present levels. This, together with growing Israeli-Arab political awareness and sophistication, poses an increasingly difficult challenge to preserving Israel as the nation-state of the Jewish people, a challenge –even without doubling the relative size of the permanent Muslim population, via annexation—which is likely to render it impossible. Indeed, it takes an almost-childlike naiveté to entertain the belief that Israel could sustain itself as a Jewish nation-state with a massive Muslim minority of 35- 40% – as the societal mayhem, which far smaller proportions have wrought in Europe, indicates. In the past I have endeavored to underscore the irrevocable havoc a policy that calls for the annexation of Judea-Samaria and continued permanent residency of the Arab population there, is almost inevitably likely to cause – see: To My Colleague Caroline, A Caveat ; Sovereignty? Yes, But Look Before You Leap; Islamizing Israel - When The Radical Left And Hard Right Concur. I urge readers to take note of the arguments I raise in them—not all of which I am able to include in this essay. There are only two post-annexation possibilities: Either the Arab population in the annexed territories will be accorded equal civil rights and liberties, or they will not. If they are not—and in the absence of any clear blueprint for their political future—Israel will be hopelessly, and rightly, exposed to accusations of ethnic discrimination—especially if the Jewish residents in those areas are accorded such rights. If they are, the impact on Israel’s socio-economic and cultural fabric is likely to be devastating in terms of the effect on societal norms, leisure activities, acceptable modes of entertainment, gender equality and so on. This is especially true when the bulk of the newly annexed population has been subjected to decades of Judeophobic indoctrination and Judeocidal incitement. Once the Arab population of Judea-Samaria becomes incorporated into Israel’s permanent population, at least two crucial elements of national life are almost certain to be dramatically—and in Zionist-compliant terms, negatively –impacted. The one is the distribution of national resources; the other is population flows into, and out of, the country. With regard to the former, clearly once the Arab residents of Judea and Samaria—whether enfranchised or not—become incorporated into the country’s permanent population, Israel will not be able to afford the kind of socio-economic disparities that prevail between the pre- and post-annexation segments of the population. Accordingly, huge budget resources will have to be diverted to reduce such disparities – siphoning off funds currently spent on the Jewish population (and Israeli Arabs) in terms of welfare, medical care, infrastructure education and so on. Indeed, if enfranchisement (eventual or immediate) is envisaged, the electoral potential of the Arab sector is liable to be elevated from its current 13-15 seats in parliament to 25-30. This will not only hugely bolster its ability to demand enhanced budgetary allotments, but also make it virtually impossible to form a governing coalition without their endorsement. Moreover, various ad hoc parliamentary collaboration with radical Jewish left-wing factions are likely to nullify any formal calculations of an ostensible “Jewish majority”, and lead to legislative enterprises that ultra-Zionist proponents of annexation would strongly oppose – in an ironic manifestation of unintended consequences. Some optimistic (or is that myopic?) one-staters believe that, following annexation of Palestinian-Arabs residents in Judea-Samaria, the Jewish population will be bolstered significantly by energized ways of Jewish immigration (Aliyah). Such claims are unpersuasive, to say the least. After all, it is not immediately obvious how Israel, with a 30-40% Muslim minority ,will be any more attractive than it is today for Jews abroad to choose to live in it –and for Jews already resident in it to stay here. Indeed, a far more plausible case can be made for the claim that such annexation will deter Jewish immigration and spur Jewish emigration (Yeridah). In terms of GDP per capita Israel will be catapulted backwards by decades, jeopardizing its status as an advanced postindustrial country and its newly won membership in the OECD—a development hardly likely to attract educated Jewish professionals from abroad to opt for Israel as their preferred place of abode. Indeed, with an emboldened and enlarged Muslim minority, the new post-annexation Israel is not only likely to impede Jewish immigration, but stimulate Jewish emigration of current Israeli citizens , wishing to distance themselves, and their families, from the emerging post-annexation societal realities. By contrast, the effect on Arab population movements in and out of the country is liable to be precisely the opposite. Annexation, and the prospect of being incorporated into the permanent population of Israel is likely to bring the currently accelerating Arab emigration to a shuddering halt. For those who believe Israel would adopt a far more robust and assertive policy than the Europeans in dealing with defiant challenges from its Muslim communities, the flaccid Israeli response to phenomena, like illegal Arab construction in the Galilee or general lawlessness (from drug trafficking to polygamy) in the Negev leave ample scope for skepticism, if not downright pessimism. Annexation of Judea-Samaria, without any program for drastically reducing its Arab population, will inevitably culminate in the Lebanonization of Israel, with all the attendant inter-ethnic strife and violence that haunts that tortured and fractured country. It is a proposal that –however well-intentioned—will bring about the end of the Zionist dream—as surely as the two-state paradigm it was meant to replace. Allow me to conclude this column with the same words I concluded last week’s. Accordingly, it must be a proposal that ensures Israeli control over vital geo-strategic assets in Judea-Samaria and drastically reduces the presence of the hostile Arab population resident there—preferably by non-coercive means such as economic inducements…which, by the way, is what attracted the bulk of the Arab population here in the first place.